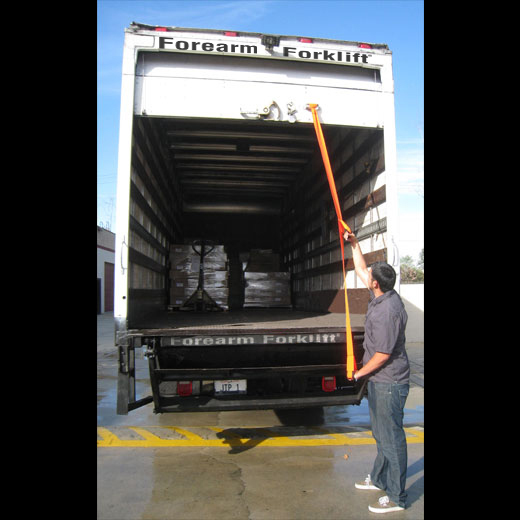 A long strap with 2 sewn-in handles that allow drivers to generate pull down power that permits them to effortlessly pull down a straight truck's roll-up door. 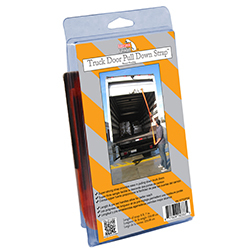 Most importantly, it PREVENTS DRIVERS FROM HAVING TO CLIMB UP THE BACK OF THEIR TRUCKS which is very helpful if that's physically challenging for them! 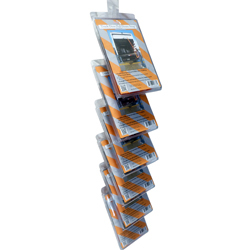 Our leverage generating pull down strap also puts an end to operators having to hike up the tail of their truck when the back, steel landing of a rig's cargo area gets wet, icy or snowy which ELIMINATES injuries due to drivers slipping off the back of their vans! 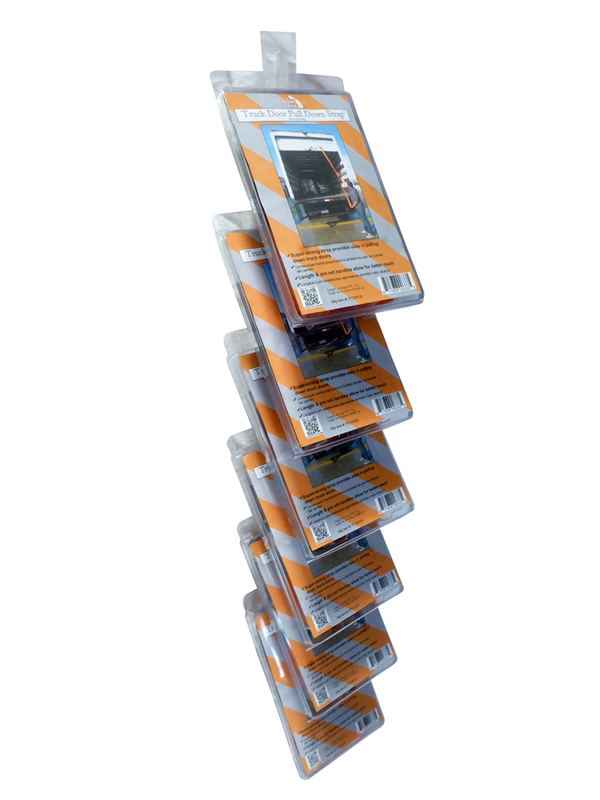 Our pull down strap installs in 5 seconds and no tools are needed to secure it. 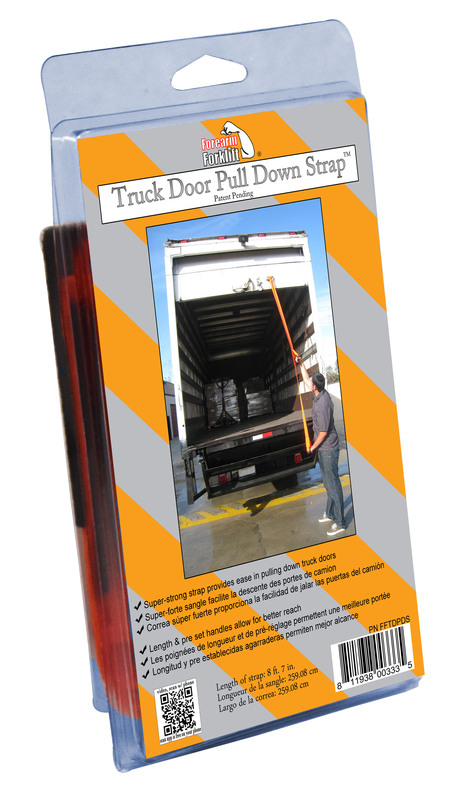 Unlike rope that's round or thick leather pulls, this pull down strap is flat so it quickly and easily gets tucked under a closing cargo door for when rig is on the road ( so it never drags ). Please WATCH THE VIDEO on this webpage of it being installed and in-action.